- Reebok Adult 2.9 Ounce Performance Jacket. - 100% Polyester; 2.9 oz. - Color-blocked and contrast stripes across body. 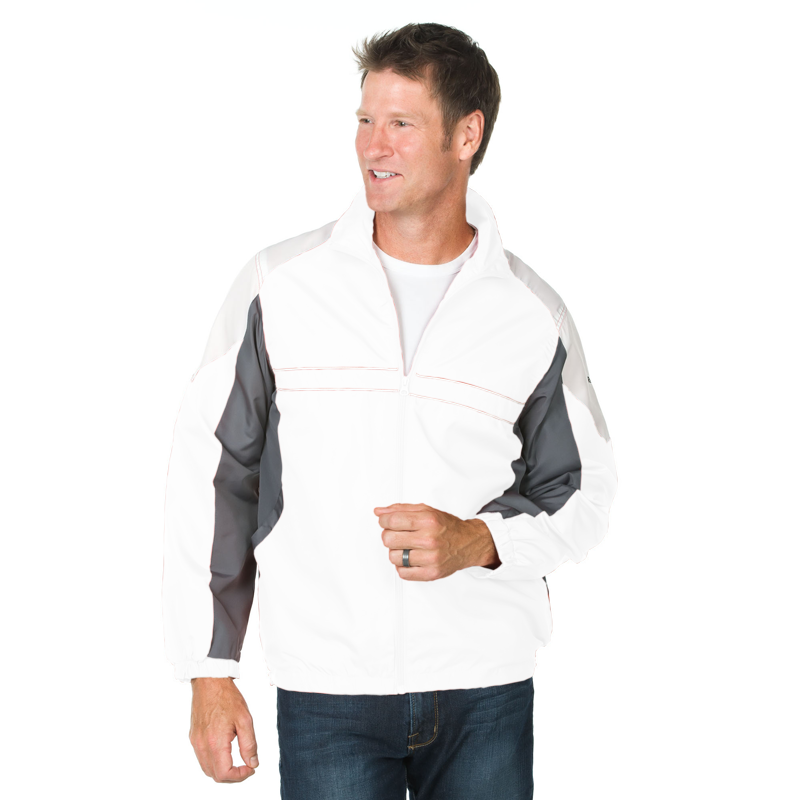 Reebok Adult 2.9 Ounce Performance Jacket. 100% Polyester; 2.9 oz. Wind and water resistant. Color-blocked and contrast stripes across body. Reebok embroidered on left bicep. Machine washable. Style ships from Eldorado Springs, MO. Sizes S-5XL: Black, Forest Green, Navy, Red, Royal.